The anatomy of a seal is quite interesting and you may think that they don’t have a body that is built quite right for their needs. This is because most of use see seals on land and their bodies are more designed for their needs in the water. They have fat bellies that they slide on awkwardly as they move along land. The fat has to be there in order to keep them warm. The overall size of seals will depend on the species you are discussing. The seals are about from 4 feet to 13 feet long and from 150 pounds to 8,500 pounds weigh. The coloring of seals are dark which allows them to absorb the heat from the sun. At the same time it allows them to be protected from it. They range in color from light gray to dark black depending on the species. There are some that are white in color as well. 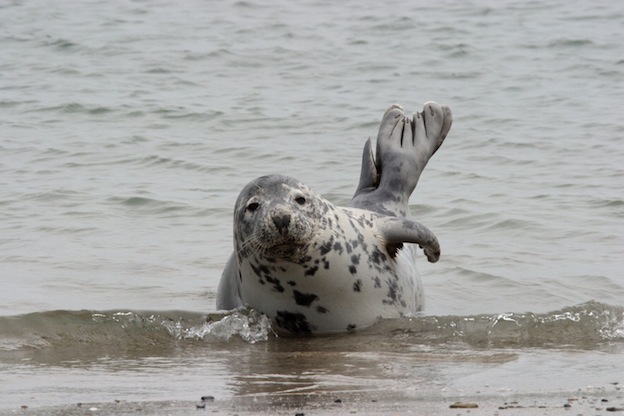 When they are in the water, a seal is able to benefit the most from its anatomy. They are large animals but able to gracefully move through the water at speeds up to 23 miles per hour. They have flippers which help them to move along in the water. They have long whiskers that allow them to pick up vibrations from their prey and predators while in the water. There are two types of seals out there and the can be determined based on their anatomy. 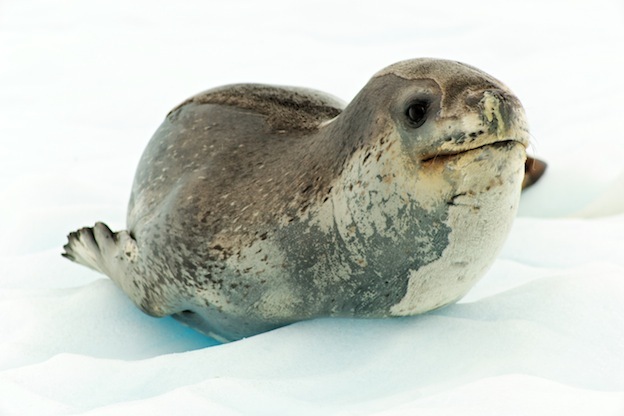 The Otariidae seals have ears that extend from the skull while the Phocidae seals don’t. Those that have ears have hind flippers that they can bury under their bodies. This allows movement to be much easier on land. Those that don’t have ears also have such hind flippers that they drag behind them. There are two sets of flippers on each seal, a front set and a back set. The front ones are very powerful and the feature five digits on each one. They have claws on them that are up to a couple of inches in length. They use these claws as a way to defend themselves, to climb out of the water onto land, and to groom. The back flippers also feature five digits and they are webbed. When fully open, it looks like a fan. These back flippers help a seal to move along in the water. Those seals that have ears have a mechanism that allows them to be closed before they go under the water. They also close their nostrils to prevent water from entering them as well. A seal has a head that often seems too small for its much larger body. They have pointed noses on the end. They feature a mouth of 30 to 36 teeth that are extremely sharp. They use them to tear chunks of prey to swallow as well as to defend themselves. The males are known to lightly bite the females during mating with them as well. All seals have hair on them, but only a few species have the thick coats that can get them hunted for them. You may have to look very close at other species of seals to see their hair. It is very thick though as well as very short. There can be several layers of the hair on their body. This hair doesn’t do much to offer insulation for the seal. However, it is believed it helps them to move easily in the water. They have a gland that excretes oil and that keeps their hair waterproof.